Canigrin✕Goodglas co-branded dinosaur double-layer cup, illustrator-Kenny's cute dinosaur illustration design, add a colorful color to the texture double-layer cup! https://c2.staticflickr.com/8/7818/33254192238_bc1bf510a6_b.jpg **Canigrin✕Goodglas** Good glass joint double-layer cup~ This year, I joined hands with the illustrator to complete the classic dinosaur cup. The illustrator of this collaboration, Kenny, dreamed of opening a colorful flower shop. Now she is holding a brush on the cloth and paper. Planting a multi-colored garden, sketching a fantasy world with flowers, grasses and animals, Kenny's style of painting is very fast, not drafting, even the party hat as a brand logo is also hand-made, but people can't help it. The mouth is rising, just like his brand Canigrin, Can I grin? Through the composition of the child's fun, bright colors, it is easy to feel the joyful atmosphere that Kenny wants to share. 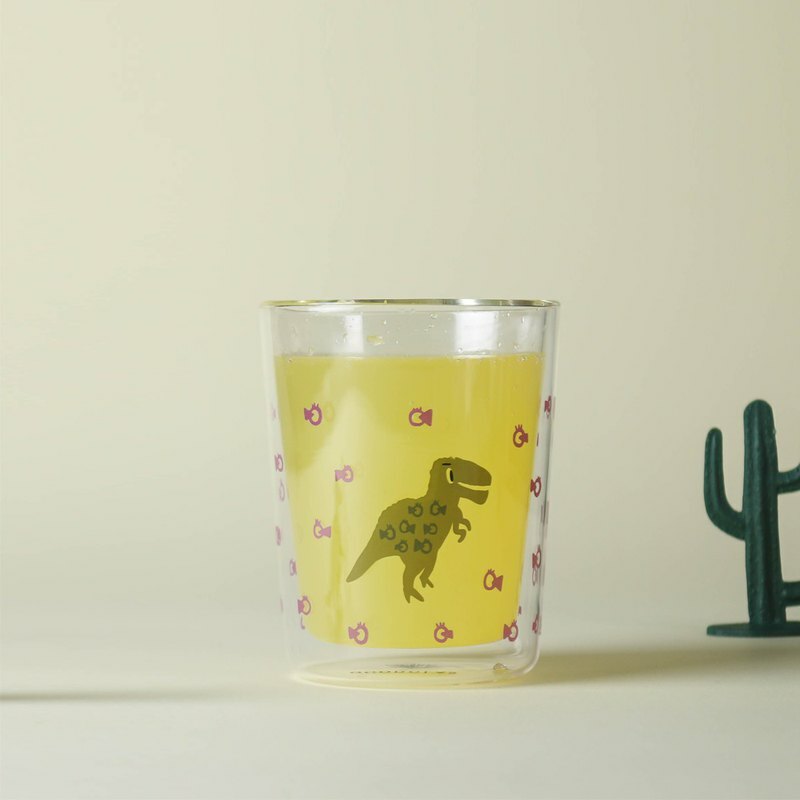 Still not coming to share the cute and fun dinosaur cup with us! https://c2.staticflickr.com/8/7909/47077454562_f1824ef457_b.jpg Specially burned co-branded logo on the bottom of the cup It symbolizes the brand's strict control of the product and the aesthetics of the design! https://c2.staticflickr.com/8/7859/47077297962_ee52193fec_b.jpg / Size, size, size, weight / Diameter 8.5 x height 10.5 cm Capacity: 300ml Quantity: 1 / Material / Handmade boron glass Heat resistant to 120 degrees °C Clear / Packaging / General carton packaging / Use and maintenance methods / Do not put in the microwave and dishwasher. Avoid using corrosive cleaners. / Notes / Each piece is a hand-shaped glass. Such as a few manual traces and bubbles is normal ^^ The color of the product is mainly based on the actual product, and the web page display color difference is for reference only.